HE863-NAG & H24 HSPA Cellular Modules to Enable High-Bandwidth Applications for Long-Term Deployment in U.S.
Telit Wireless Solutions, a leading global provider of high-quality machine-to-machine (M2M) modules and services, announced today that its HE863-NAG and H24 cellular modules received AT&T certification. Supporting rapid data transfer speeds over the carrier’s HSPA network and featuring universally low power consumption, these modules will enable M2M integrators to deploy high-bandwidth applications and extend the life of their devices with 3G-based designs. The HE863-NAG is the third module from the HE863 family to earn AT&T certification, joining the ranks of the -NAD and -NAR. Within the same lightweight, compact ball-grid-array (BGA) form factor, this variant uniquely features the greatest functionality within the family, including integrated high sensitivity GPS receiver that supports simultaneous GPS with voice and data. Telit’s H24 offers the same high-speed HSUPA/HSDPA connectivity (5.76Mbps up / 7.2 Mbps down) with on-board GPS, making both modules ideal for robust location-based solutions such as automotive infotainment. 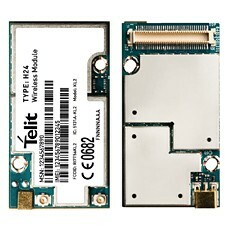 Both modules feature backwards compatibility with GSM/GPRS/EDGE networks, serving as a fallback for applications to maintain connectivity in areas where the high-speed 3G network is unavailable. The H24 also features the same form factor as the Telit G24 module, providing an easy path for current integrators to migrate their devices from 2G to 3G without reengineering the product. 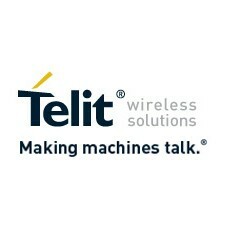 To learn more about Telit, visit www.telit.com.